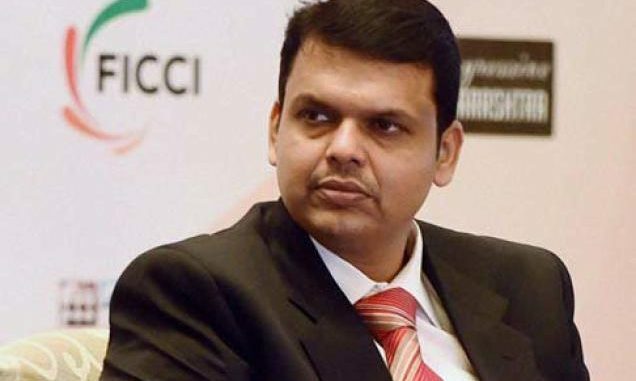 Maharashtra Chief Minister Devendra Fadnavis highlighted projects undertaken by his government in various fields on Thursday and said only investment-based agriculture can be sustainable in the long term. Fadnavis, who is visiting Singapore, said metros with a capacity to handle mere 7 million passengers were created in the last 60 years. “Only 7 million metro passenger capacity has been created in 60 long years. We are adding 9 million passenger capacity in just 4 years,” Fadnavis said. He was speaking on the topic, ‘Infrastructure-led Growth: Maharashtra – India’s Engine of Development’, at a function in Singapore. The event was organised by the Institute of South Asian Studies (ISAS) in association with the National University of Singapore and apex Indian industry body CII. He spoke about better coordination between the Centre and states under the NDA government and maintained this is facilitated by Prime Minister Narendra Modi’s monthly video conference held under the Pro-active Governance and Timely Implementation (PRAGATI) initiative. Union secretaries of various ministries and chief secretaries of the different states regularly take part in the video conference. “Through the Maharashtra Samruddhi Corridor, we are connecting the logistic hub of India, Nagpur, to the port city Mumbai,” he said. The Samruddhi Corridor is an ambitious infrastructure project of the Fadnavis government that proposes to connect Nagpur and Mumbai through a 700km expressway. Fadnavis said while relief and rehabilitation are important for the agriculture sector, it is not sustainable in the long run. “Maharashtra contributes to 40 percent of the total dams in India but gives only 22 percent irrigation cover. Jal Yukt Shivar (a water conservation scheme) is making villages water neutral. “Through the scheme, we have achieved climate mitigation measures too. Only investment-based agriculture can be sustainable,” he said. Fadnavis and his delegation also visited Changi Airport, touted as one of the world’s best airports and a mega transportation hub in South East Asia. The chief minister also held roundtable discussions with business leaders in the city-state. “Executives of Singapore’s top companies discussed various issues, understood the investment/expansion opportunities from the CM,” a release issued by the CMO in Mumbai stated. Fadnavis is visiting South Korea and Singapore to hard sell his state as an investment destination. He has already completed the South Korea leg of his visit.